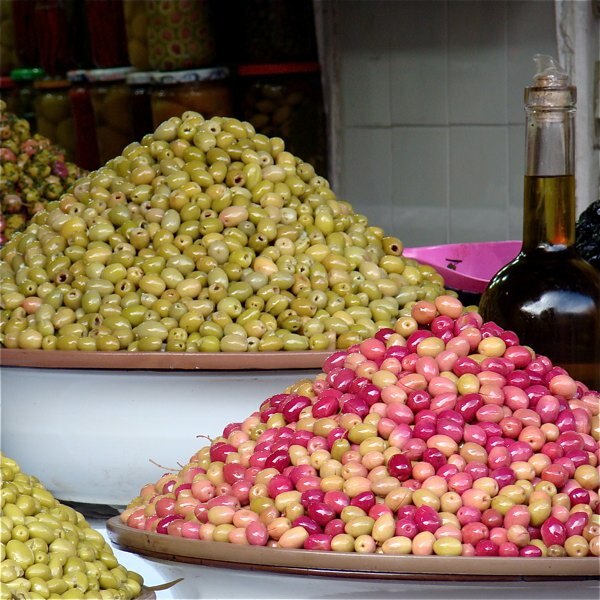 Look at this beautiful picture of pale green and purple olives. 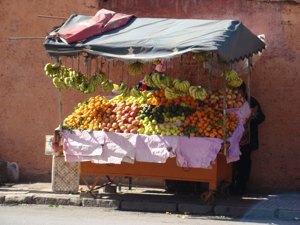 It is taken by the entrance of the main souqs in Marrakech, a maze of small passageways on the western edge of Djemaa el Fna. 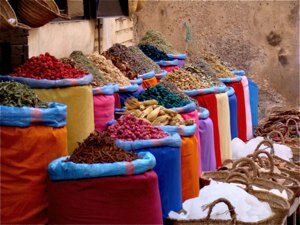 Here you may buy a multitude of different, fruits, roots, oils, and spices, but do consult a local expert if you purchase medicinal products, as some may bring more harm than good. At home you walk through your own supermarket where everything is properly tagged, but in the souqs your have no clue what is under offer. 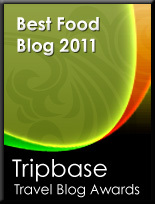 Stored in sacs or baskets you find an enormous amount of different articles with unknown uses. Roots, sprouts, dried rosebuds - for what? 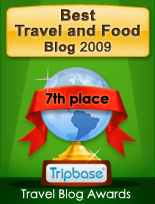 For medication, perfumes, food, teas? You are left to speculate! 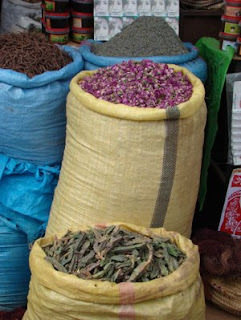 As these sacs filled to the top by sprigs of a succulent plant (probably a subspecies of Euphorbia) and small purple rosebuds, ideal to make your own rose water, so popular in Moroccan cuisine. 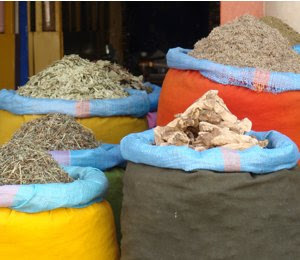 As European tourists pass through the souqs, some of the vendors suggested some of their ingredients as remedies for a multitude of different ailments from back ache to improving your love life. I would personally consult a local doctor on how and for what ailment one might use these specific local ingredients. It is a fact that many natural remedies may have highly favourable benefits for your health, but other may, if used incorrectly, have very unfavourable effects on your health. Morocco baskes in sunshine all year. With a minimum temperature in winter of around 20 degress Celsius (68 on the Fahrenheit scale), fruits and vegetables may be grown and harvested all year. Much of the land around Marrakech may seem arid, but the slopes closer to the Mediterranean are very fertile as I observed from the plane. It was a strange experience to fly over the green pastures and woods by the sea, and then suddenly to cross over the first ridge into the plains leading up to the High Atlas, seeing arable land turn into wasteland and desert. But even on these plains, fresh produce is grown and brought to market, thanks to artificial irrigation, as what is on display on this cart filled with fresh fruits and vegetables. It cannot get any fresher than this! One of the safest things to buy in the souqs is spices, and there are certainly an abundance of spices and herbs to choose from. You'll find large heaps of powders in any colour for sale, and all vendors will help you to find what you are looking for. I bought two different powdered spices. The brightly red harissa is a mix from ground dried chili, tomatoes and paprika that the Moroccans use as it is, or add to different local dishes or use as rub for different meats. Refreshingly hot. I use harissa powder to spice up stews or soups, and it literally brings tears to your eyes. The second mix is ras el hanout, also an individually prepared mix from different herbs and spices. It is used more or less the same way as harissa, and is an important ingredient in an iconic Moroccan dish - the Harira soup. Have a chat with the spice vendor. He may initiate you into other hidden corners of the Moroccan cuisine and supply you with the appropriate powder for your cauldron.